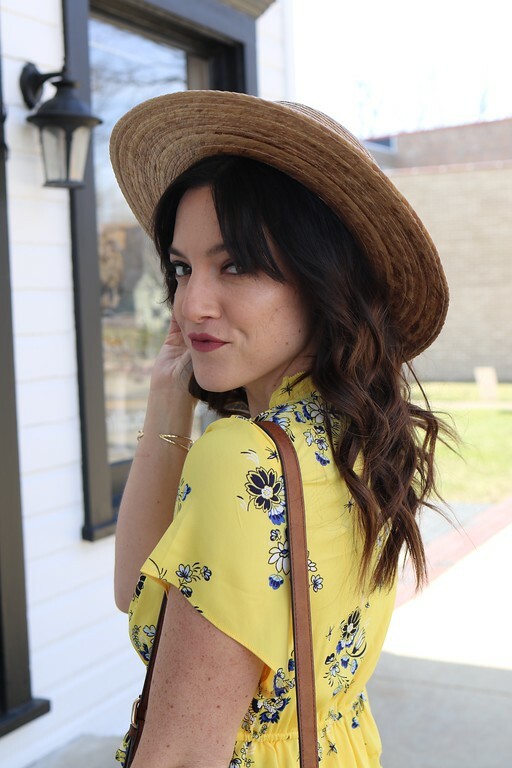 Today I want to tell you about three new CBD products I have tried during the past four weeks. They were all wonderful and I couldn't wait to tell you about them. Two months ago, I asked you guys to let me know what kind of CBD products you wanted me to try, and the feedback was very helpful. 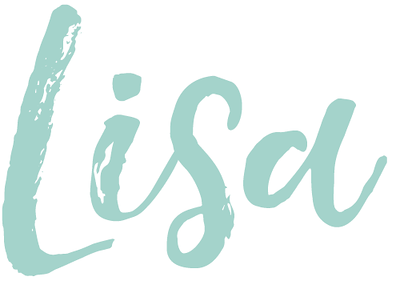 You asked for more gummies and oils, so this month I am review just that! I hope you guys try these, all three I would highly recommend and would purchase again. 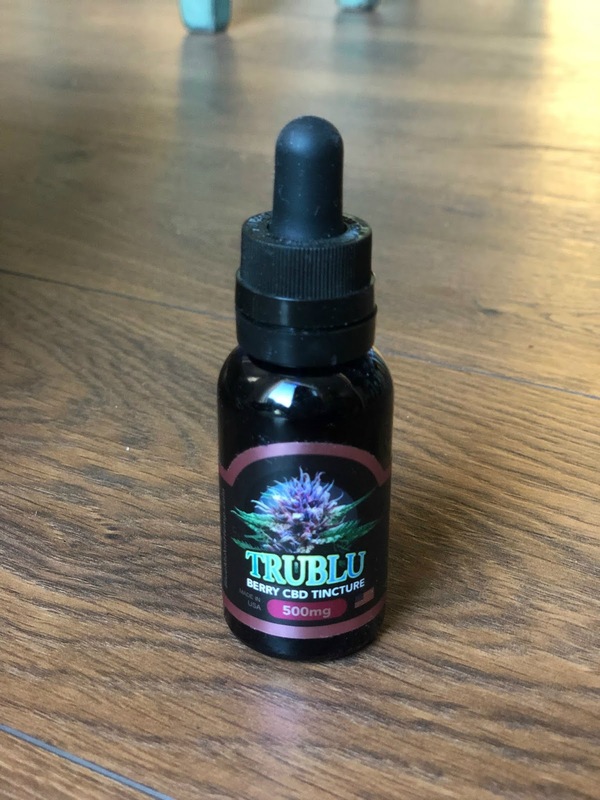 I love CBD oil and this one from Tru Blu became a fast favorite. It is the perfect way to quickly get CBD into your system, plus it has a very unique taste. I personally love the taste of CBD oil as is, but this one tastes like berries and anyone who doesn't love the natural flavor, this is a excellent alternative. I found myself taking a 1/2 to full dropper a few times a day as needed. This product was great for pain, inflammation, anxiety, and "taking the edge" off of your day (ie, great for relaxation). "A 30ml blend of Organic Cold Pressed Hemp Oil with 500mg of CBD. Our Nano-Technology and high speed emulsion methods create a micro-encapsulation of the molecules which results in greater bio-availability. The end result is more efficiency and better absorption leading to an increased effect. We are certain you will find this to be the strongest and most satisfying tincture you have ever used." I found the perfect gummy for relaxation and inflammation! 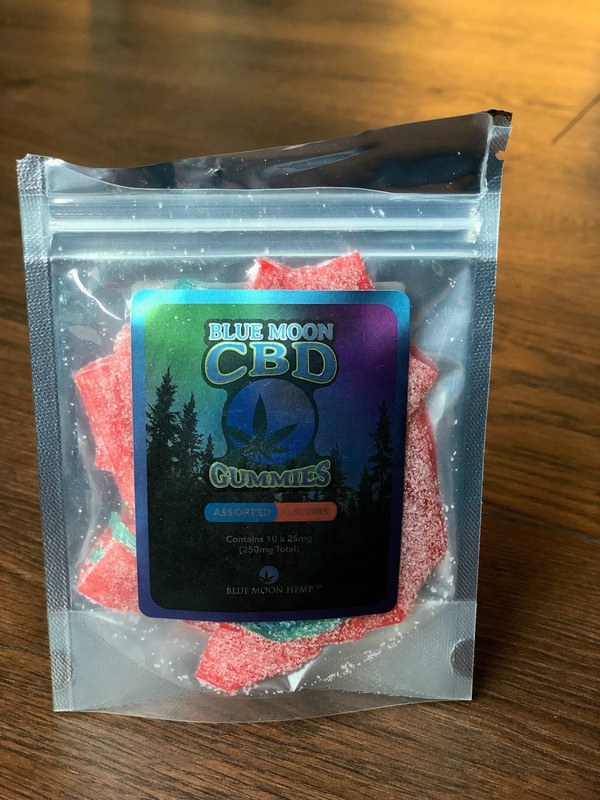 Blue Moon CBD gummies are covered in sugar and are absolutely delicious. These 25mg gummies are a great way to end your day. They allow you to feel like you are unwinding without any psychoactive effect...like a small glass of wine with not buzz kind of relaxation. They were wonderful and I would highly recommend these to anyone! 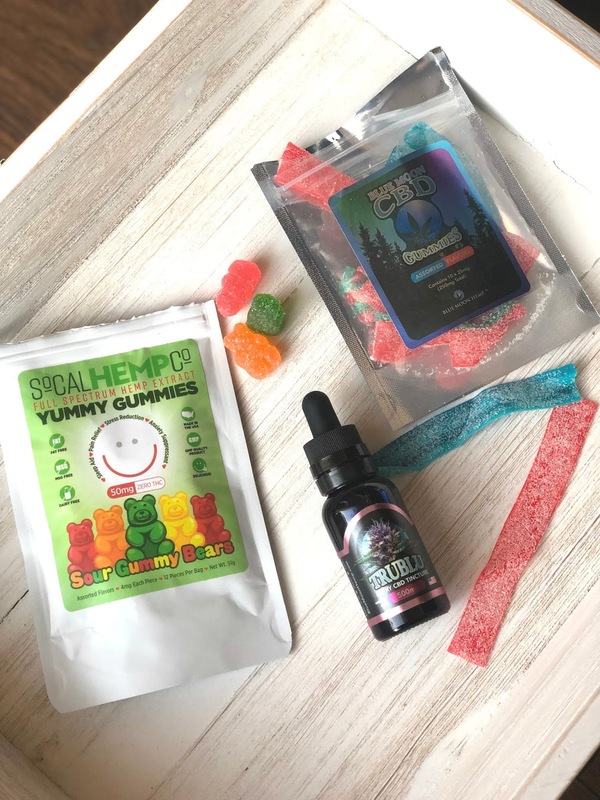 Looking for a great daytime CBD gummy? 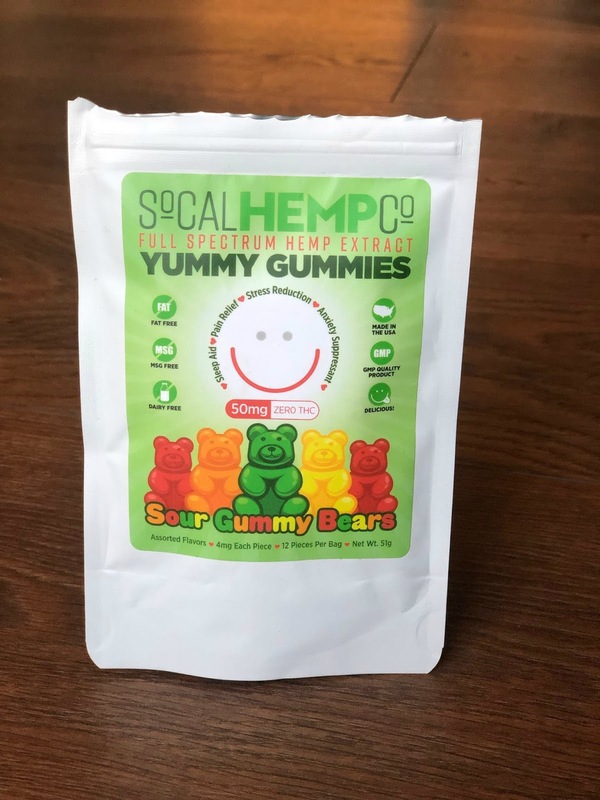 SoCal Hemp Co Yummy Gummies are the perfect 4mg bears. These bears are super yummy. They are covered in sugar and taste like they look, like a dessert! The best way to describe these would be to say, the low dose is great for mid-day use. It takes about 10% of the edge off of your stress and anxiety during the day. Great for rush hour traffic, work frustration, or any annoyance really. These are great way to calm your mood without any THC and I found myself reaching for these multiple times throughout my day. Thanks for the great info, so helpful. This is what I need today! Thanks for sharing, I sure did enjoy your content! This is great post regarding CBD product or CBD Tincture, cause it shows the benefits of it. I am happy after saw this post that CBD can reduce our anxiety and depression and pain too.